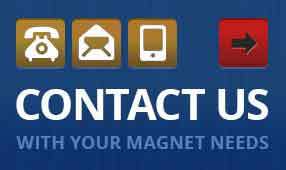 Want to know how to choose the right magnet? We run down the 6 basics you need to know to make your decision on our blog today. 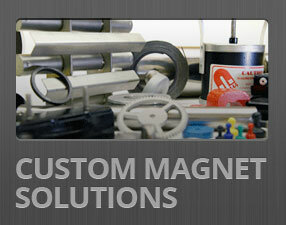 Choosing the right magnet for your application requires two things. In this month’s blog, we will answer the most common questions we field from customers choosing magnet materials for a variety of jobs. What are the best metals to use in a magnetic circuit? The most economic choice, which is often the primary concern, is solid steel. The mass of material needed to carry flux between the far poles of an assembly make any other material economically inferior. We will always recommend solid steel for the frame of static field devices. The reluctance of this part of the magnetic circuit is low compared to that of the working hap. The losses associated with driving flux through the material are a small portion of overall losses. Pole pieces are different, however, because they are there to redistribute and redirect flux over the surface of the gap. Thus, low carbon steel should be used for pole pieces, and the steel should be hydrogen annealed after machining. When small size is the most important variable, a 50/50 iron-cobalt material is the best choice. It may be more difficult to source, and comes at a higher cost than other materials, but does satisfies the small size criteria. Why is Hysterloy important for a hysteresis coupling? A hysteresis alloy is composed, oriented and heat treated to optimize hysteresis losses. Materials, generally, are designed to reduce losses, but hysteresis is meant to maximize losses. Hysterloy is usually supplied as rings with a composition similar to Alnico 5. Rings are oriented along a circumfrance during a heat treat cycle optimized for maximum losses. Sm-Co, Alnico and Nd-Fe-B magnets – What’s the difference? The rare earth Sm-Co and Nd-Fe-B magnets have high coercivity, so they do not need to be magnetized in circuit and can be used with low permeance coefficients (i.e. thin discs). These materials also lend themselves to Helmholtz coil testing due to their straight line normal curves. This also makes rare earths ideal for motors and high field dipoles. Sm-Co has a good resistance to thermal demagnetization but is brittle. Nd-Fe-B is less brittle, has poor thermal properties, and is prone to corrosion. Alnico produces a maximum energy product of about 1/5 Sm-Co materials, but performs well in elevated temperatures and resists corrosion assertively. Alnico can also be cast into different shapes and magnetic orientations. Are permanent magnets advantageous vs electromagnets in any situations? The space needed to produce a static field will be less for permanent magnets, so they are suited for applications where the working gap is small. Electromagnets are an excellent choice in large applications. Electromagnets are limited by the space they take up and the heat generated during operation. But they can be adjusted easily by adjusting the power current. If regular adjustments are required, talk to us about electromagnets. 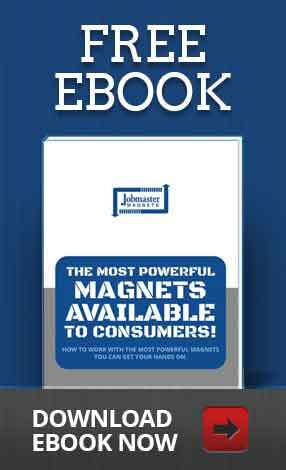 Why are small rare earth magnets so costly? The heavy metals used to improve magnetic properties in rare earth magnets are labour intensive to extract. Production conditions are tightly controlled, because these materials must remain entirely pure. We stock over a million magnets and if we don’t have what you’re looking for, we’ll custom manufacture and ship it anywhere in the world. Contact us today to place your order.